In early November, I had the privilege of attending the AICPA Women’s Global Leadership Summit in San Francisco. One of the highlights for me was a message from Deloitte’s CEO, Cathy Engelbert. Cathy’s message was simple, yet profound: Share your story. Inspire others by being transparent about the successes, the failures and the lessons learned. We have been made well aware of the challenges the profession is facing in diversity and inclusion as well as the need to build a pipeline of future CPAs. The issues are clear. But what sometimes can feel overwhelming is the solution. Specific diversity and inclusion programs inside of organizations − and even just the awareness of unconscious bias − can be helpful, but I admit to sometimes feeling defeated by the amount of progress still yet to be made. But Cathy’s message is a simple step anyone can do. Over a recent weekend, I stumbled upon the message of 19-year-old former Instagram model Essena O’Neill. Essena’s story is an interesting one. With what she calls “winning the genetic lottery,” she became a social media star overnight. Posting seemingly effortless photos of herself got her thousands of likes and followers − so many, in fact, that she began getting paid to feature certain brands and products in her photos. But in early November, she deleted her accounts. O’Neill said in a video message that she’d had enough of the fakery and wanted to start fresh with a new message of self worth. There’s a great debate going on about whether this is just a cry for more attention, but there’s one part of her new “brand” that I find quite interesting. Through her new website, Essena has been posting again some of the pictures that made her famous, but this time the captains are real. In each post, she explains what was really going on in the picture − the hundreds of takes she made her sister do, the money she was paid, the editing that was done before the post and the emptiness that it all left her with. The seemingly effortless photos were fake − and anything but effortless. This all got me thinking about Cathy’s message again: Share your story. Inspire others by being transparent about the successes, the failures and the lessons learned. If all we share is the highlights, the carefully edited story of success, how is our story real? And if it’s not real, how can it inspire others? It takes courage to tell the whole story, to share the parts that you might want to skip over, but sometimes it’s those parts that make it real. Those parts make your story not just a dream, but a real inspiration to someone else struggling. This blog is the introduction to a new series in which we will feature the stories of some of our members − stories that don’t sugarcoat, but inspire. 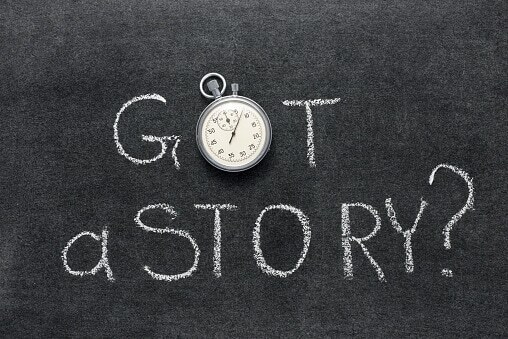 If you’d like to share your CPA story, let us know. Let’s start sharing and inspiring. UPDATE: Check back as more stories are published in this series! Stories published include: Tim Samuel, Lisa Cines , Samantha Bowling, Liz Gantnier, Paul Curtis. Caroline Jiang, and Jan Williams, Ph.D.